REGIONAL Queensland areas including the Sunshine Coast, Wide Bay, Mackay and the Toowoomba highlands have defied the traditional population flow to Brisbane by recording above-average growth in the past 10 years, the Australian Bureau of Statistics revealed on Tuesday. The latest regional population growth figures, collected during the 2011 Census, show Brisbane had the second-highest population growth in the nation - up 25% - between 2001 and 2011, behind only Perth, Western Australia on 26%. 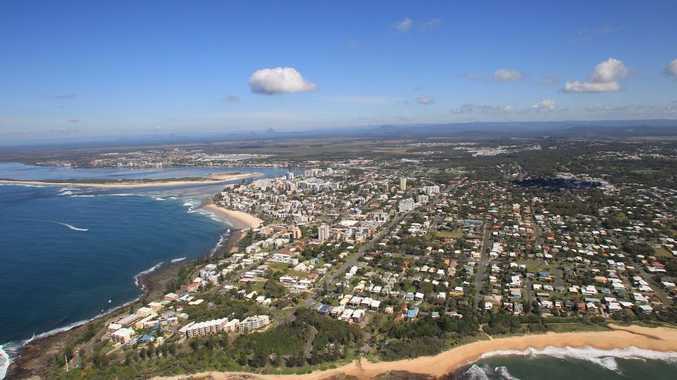 Several regional areas in Queensland and Tweed Heads south on the New South Wales coast recorded strong growth. Among the leading Queensland areas were Ipswich, up 32%, while the Sunshine Coast, Mackay, the Gold Coast, Wide Bay and Toowoomba highlands populations increasing by more than 20% in the past decade. On the NSW north coast, population growth in Tweed Heads south was up by more than 20% between 2001 and 2011, while the largest declines in the region were found in Byron Bay and Lismore. Western Australia had the fastest growth of all states and territories, rising by 24% in the ten years to 2011, followed by Queensland, up 23% and the Northern Territory , up 17%. Victoria and the Australian Capital Territory grew by 15%, equal to the Australian national average. The remaining states all had growth below the Australian average, with New South Wales at 10% and South Australia and Tasmania both at 8%. Outside of Brisbane, Queensland's population grew by 412,900 people in the decade to June 2011, with nearly half of this growth on the Gold and Sunshine Coasts, with Wide Bay grew by 47,200 people, Cairns up 38,200 people, Townsville up 34,900 people and Mackay up 33,800 people. On the NSW north coast, Tweed-Richmond grew by 20,100 people and by 18,200 people on the adjacent mid north coast, while Lismore's population fell by 230 people and Byron Bay's population fell by 210 people in the last year, but grew slightly over the decade.